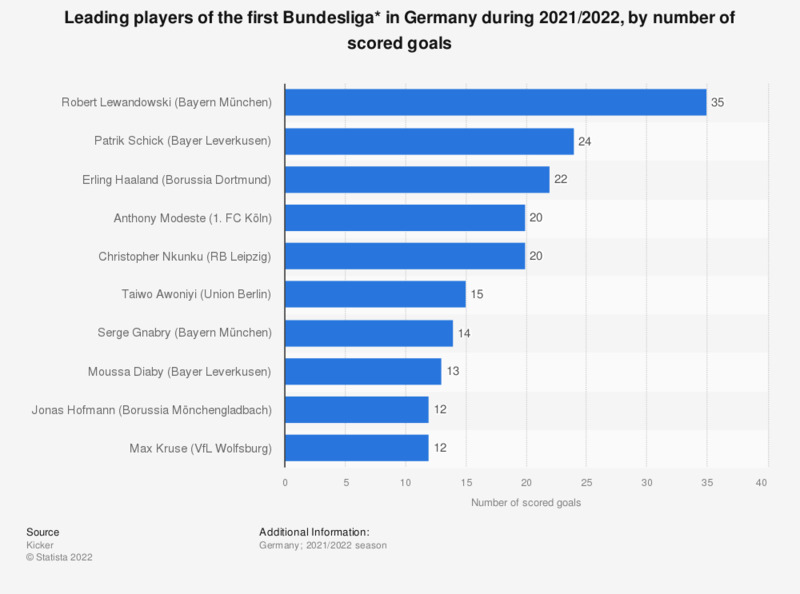 The statistic presents the top scorers of the first Bundesliga during the 2018/2019 season. Luka Jovic ranked first with 13 goals, followed by Paco Alcacer, Robert Lewandowski and Marco Reus, who scored 12 goals each. Further players can be found here. * The first Bundesliga is the premier football league in Germany.